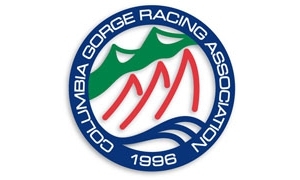 The Columbia Gorge Racing Association is pleased to welcome the Laser masters to Cascade Locks, Oregon, for the 2014 Laser Masters North American Championship. This regatta is open to all boats of the Laser class whose skippers have reached the age of 35 by the regatta start date. We look forward to seeing you in the Gorge this summer! The Welcome Party venue on Thursday, July 10 has been changed to our event site at CGRA in Cascade Locks. We'll start with Blowout Awards & refreshments at 5:30, then carry on with food and more refreshments from 6 till . . .
From this weeks forecast: "A "classic" westerly blast, " "Stevenson reaching mid to maybe upper 20's" & "The wind engine keeps chugging."